In this project, we propose an efficient approach based on structure-from-motion (SfM) and multi-view stereo (MVS) reconstruction techniques to automatically generate 3D models from images. We use meta-data information such as GPS, keypoint filtering and overlapping local bundle adjustment refinements instead of global optimization in a novel scheme to speed up the incremental SfM process since for large datasets the processing time is still undesirable. In this paper we propose an efficient approach for automatic generation of 3D models from images based on structure from motion (SfM) and multi-view stereo reconstruction techniques. Current imaging devices are capable of producing high-definition images and are an ubiquitous payload of unmanned aerial vehicles. However, the time required to obtain models quickly becomes prohibitive as the number of images increases. In our approach, which is image-based only, we use meta-data information such as GPS, keypoint filtering and multiple local bundle adjustment refinement instead of global optimization in a novel scheme to speed up the incremental SfM process. The results from real data show that our approach outperforms the time performance of current strategies while maintaining the quality of the resulting model. 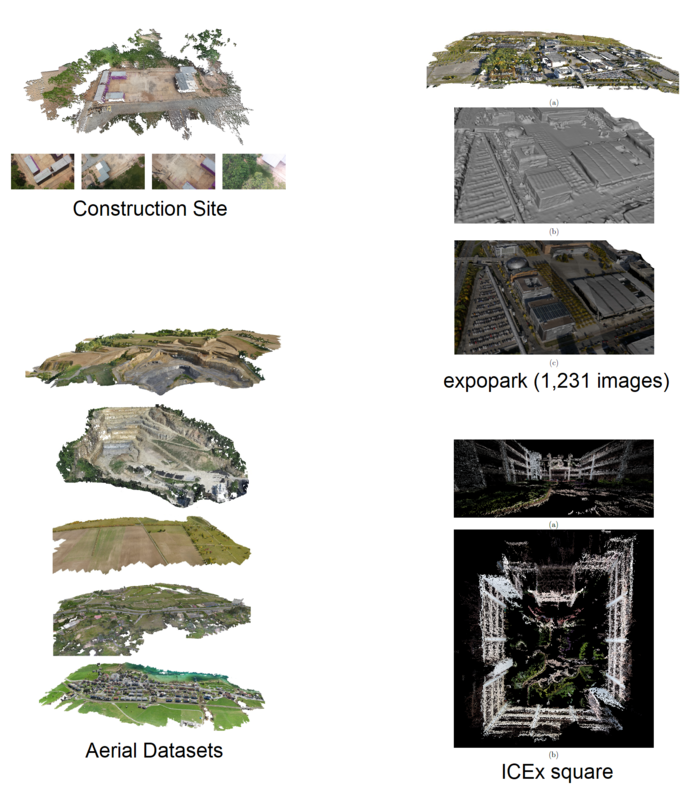 Experiments with an unorganized set of images were also conducted, and the results show that our method is able to efficiently estimate 3D models from collections of images with reduced re-projection error.